Asian and European markets rallied with US futures after US President Donald Trump said on Tuesday that he could see letting the March 1 deadline for reaching a trade agreement with China „slide for a little while,“ if both sides were near a deal. „Trump saying that there could be some leeway with the March 1st trade truce deadline if the two sides were close to a deal was music to the ears of the market,“ Jasper Lawler, head of research at London Capital Group, said in an email. The comments helped shore up Asia’s rally, with MSCI’s broadest index of Asia-Pacific shares outside Japan rising 0.6% to its highest level since early October, a four month high, while the Nikkei closed at an eight-week high, up 1.3%. Trade talks will continue in Beijing this week with hopes also boosted by the announcement that Chinese leader Xi Jinping will join US negotiators this week. 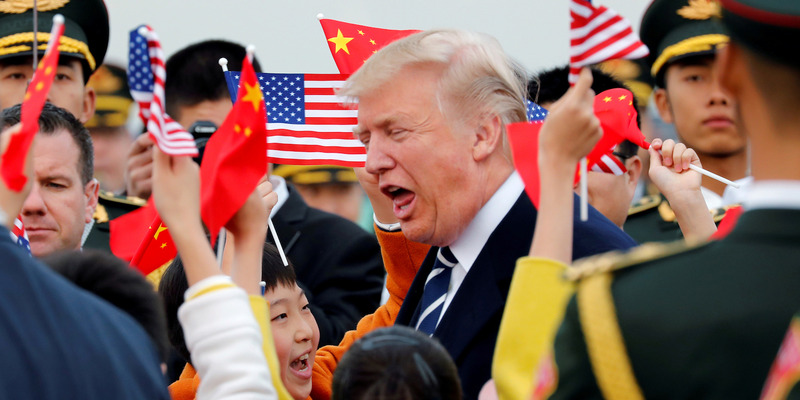 Trump had previously threatened to more than double the rate of duties on $200 billion in Chinese imports.